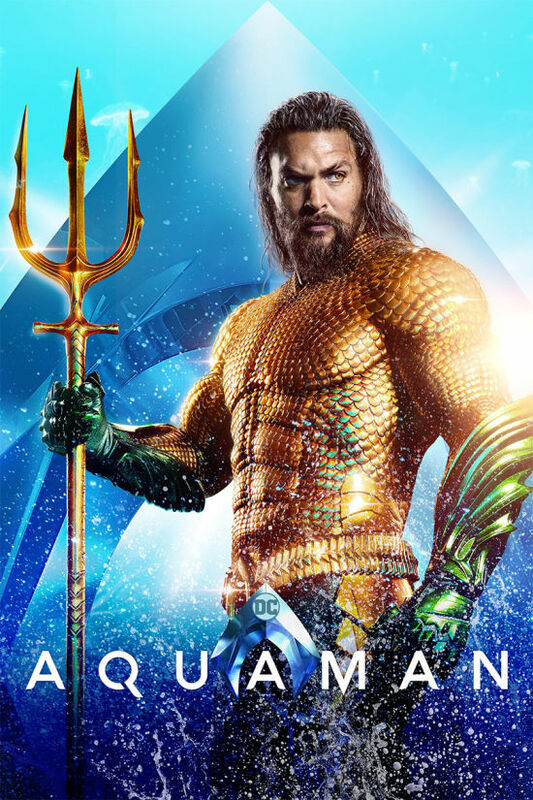 12/19/18 ScreenX, Canada’s First Panoramic Movie-watching Experience, Opens Tomorrow with "Aquaman"
10/02/18 Edmonton’s Second VIP Cinemas Opens at Cineplex Cinemas North Edmonton and VIP Today! 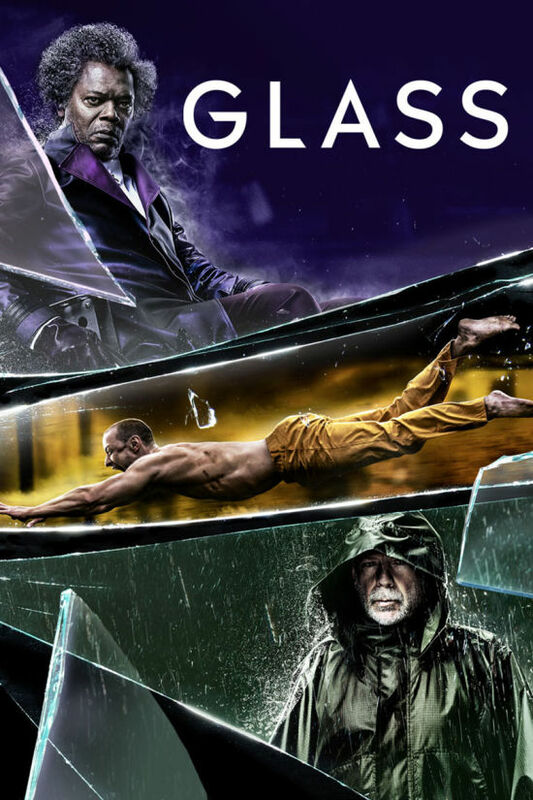 08/15/18 Calgary’s First VIP Cinemas Opens at Cineplex Cinemas Seton and VIP this Friday! 07/09/18 First Phase of Cineplex Cinemas Seton and VIP Opens Wednesday! 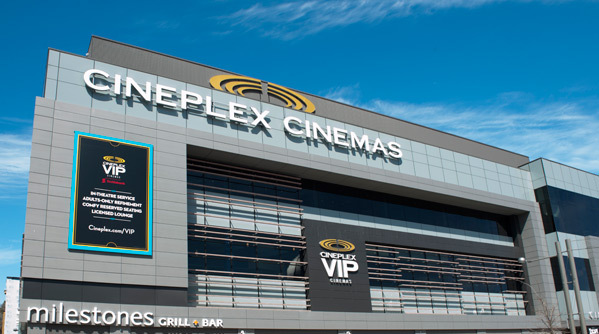 07/06/18 Cineplex Cinemas Pickering and VIP Opens Today! 06/28/18 Cineplex Popcorn on Uber Eats? It Doesn’t Get ‘Butter’ Than This! 04/30/18 Run, Don’t Walk. The Rec Room Opens TODAY in London, Ontario! 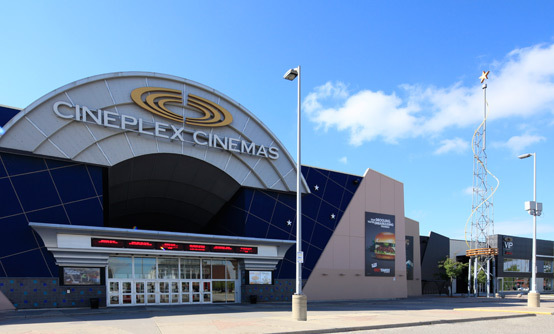 04/18/18 Attention Calgary Movie-Lovers: Cineplex Cinemas East Hills Opens This Friday! 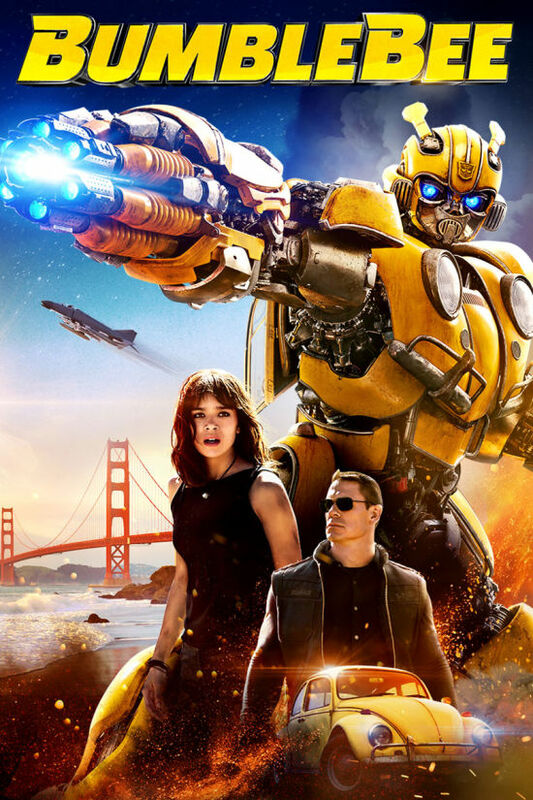 01/17/18 Cineplex Celebrates National Popcorn Day with…Wait For It… FREE Popcorn! 12/19/17 Will You Be Canada’s Next Greatest Driver? 03/10/17 Cineplex to Acquire Dandy Amusements International Inc.
09/21/16 Cineplex Announces Strategic Acquisition of Tricorp Amusements Inc.
07/17/13 Cineplex Offers to Acquire Digital Signage Company, EK3 Technologies Inc.
06/27/13 Cineplex to acquire 26 theatres from Empire Theatres Ltd.
06/27/12 Prime Minister Christopher Plummer? 03/30/12 Cineplex Magazine and Le magazine Cineplex Celebrate Huge Readership Numbers! 01/31/12 New Way Games Sales Ltd and Starburst Coin Machines Inc. Merge to Create New Amusement Game Business – Cineplex Starburst Inc.
01/30/12 Cineplex Magazine Expands Newspaper Distribution with Delivery in the Montreal Gazette and Vancouver Sun! 01/19/12 Fan favorite films from Back to the Future to Jurassic Park return to the big screen. 05/18/11 Held Over by Audience Demand, Memphis has One Final Presentation Exclusively at Select Cineplex Entertainment Theatres! 04/27/11 Advance Tickets for Pirates of the Caribbean: On Stranger Tides Available at Select Cineplex Entertainment Theatres! 04/26/11 Cineplex Entertainment To Acquire New Way Sales Games Ltd.
04/18/11 Strike First with Advance Movie Tickets for Thor in 3D at Select Cineplex Entertainment Theatres! 02/24/11 **MEDIA ADVISORY: Thursday, February 24, 2011** Romance and a Revolution Return to the Big Screen with this Classic! 02/18/11 Introducing Cineplex Digital Solutions, A New Name for Digital Display and Communications Inc.
07/05/10 Cineplex Entertainment Completes Acquisition of Digital Display & Communications Inc.
09/14/09 EVANGELION: 1.0 YOU ARE (NOT) ALONE is coming to Canada at Cineplex Entertainment and Empire Theatres! 05/01/09 Cineplex Entertainment Completes Acquisition of Onsite Media Network Inc.
04/08/09 Cineplex Entertainment Plans to Acquire Onsite Media Network Inc.
11/26/08 Exclusive Sneak Peak of SilverCity Hamilton Mountain Cinemas on Tuesday, December 2nd at 10:30 A.M.
10/23/08 Galaxy Cinemas Brantford Opens Friday November 7th! 03/18/08 Galaxy Cinemas Red Deer Opens This Friday! 07/18/07 Coming Soon - SilverCity Oakville Cinemas! 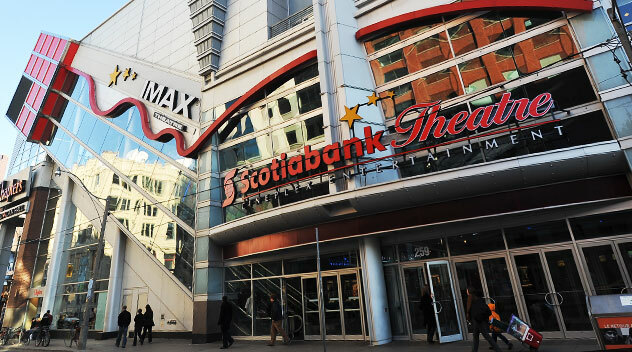 12/12/06 New Imax Theatre Opens Tomorrow in Ottawa! 10/16/06 Lavalife Brings Dating to the Big Screen and Invites Singles to "Click at a Flick"
09/13/06 Dane Cook's Tourgasm Execlusively on Cineplex Entertainment Screens in Canada! 08/22/06 Galaxy Cinemas Saskatoon to Open Friday Septemeber 1! 06/29/06 Galaxy Cinemas Milton Opens Tomorrow! 06/28/06 Galaxy Cinemas Milton Grand Opening Gala and Launch Party! 03/31/06 Cineplex Entertainment Completes Sale of 7 Quebec Divestiture Theatres to Fortune Cinemas Inc.
11/04/05 Harry Potter and the Goblet of Fire Advance Ticket Sales Begin Today! 10/26/05 The 'MANE' Event! Join SilverCity Tillicum for a Hair-razor-ing Fundraiser! 05/14/04 Scratch And Win a Toyota Echo Hatchback, X-Box Games and More!